Taking care of yourself includes eating healthy, but it doesn’t have to mean boring food. 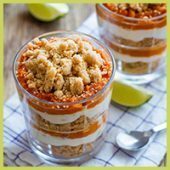 In this collection of delicious and nutritious recipes you’ll find salads, entrees, and desserts, as well as make-ahead lunch ideas to help you avoid vending machine and fast food options. 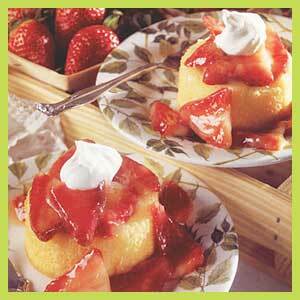 Six ingredients are all you need for this quick and easy Strawberry Shortcake recipe. Store-bought individual cakes make prep time a breeze. Yield: 6 servings (serving size: 1 cake and 1/3 cup sauce). You won’t believe this delicious, classic dessert is low in calories and in fat. 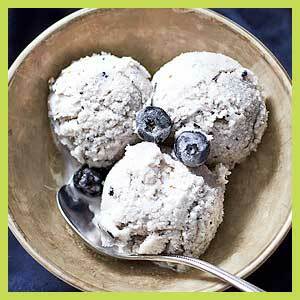 You even have wiggle room to add a scoop of fat-free vanilla ice cream to top it off. 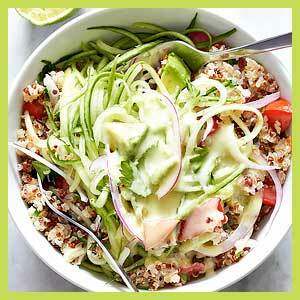 This fresh, crunchy quinoa salad is exactly what you need when it’s too hot to turn on the oven. Packed with nutrient-dense veggies and tossed in a creamy, avocado-based dressing, it will leave you feeling full and energized throughout the day. 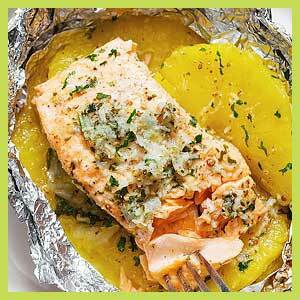 This lemon garlic butter salmon is a breeze to make and the method of cooking it all together in a foil pouch seals in moisture and keeps the sweet aroma intact. A no-fuss weeknight dinner with no clean up! 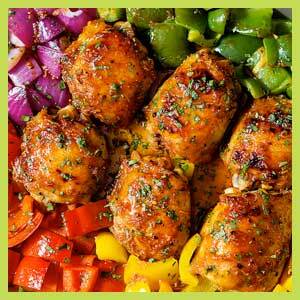 Hearty and deliciously nutritious, this sheet-pan chicken takes gourmet dinners to new levels. Dress juicy roasted chicken thighs in a spicy sweet marinade and serve with a side of sweet bell peppers and rice or bulgur. 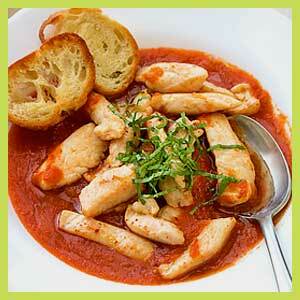 The perfect quick & easy dinner for tonight! 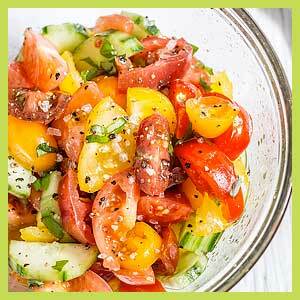 This refreshing cucumber and tomato salad is perfect for a casual dinner or for feeding a crowd at a potluck. 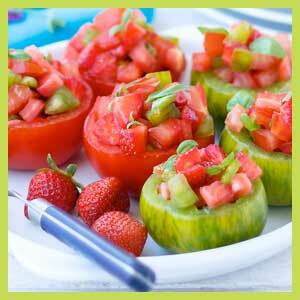 Fresh cucumbers, juicy tomatoes, and basil are drizzled with a balsamic and oil dressing for a flavorful finish. Cucumber Tomato Salad Recipe – A quick and easy summer staple, this cucumber and tomato salad goes well with fish, chicken, pork, or a plate filled with veggies! Add in onions too if you like! Add a touch of gourmet to your steak dinner with these asparagus and steak fajita roll-ups, full of the bold flavors of the Southwest. This amazing low-carb, paleo version of your favorite steak fajitas ditches the flour tortilla and adds a green touch of Spring with crips asparagus. 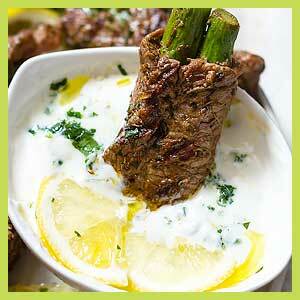 Serve with a fresh spin of lemon, cilantro and greek yogurt dipping sauce on the side. There are a few trademark things folks think of when they think of the South. Those tend to be things like friendly people, sunny weather, and sweet iced tea—very sweet. A classic Southern sweet tea recipe can be very simple—just tea, sugar, water, and lemon if you so choose. 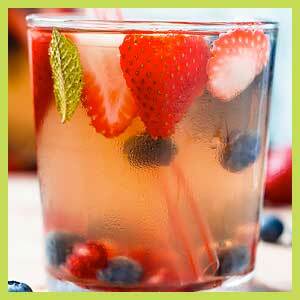 If you love a good party or BBQ, or simply sitting in the backyard watching kids play, you’ll enjoy each sip of an icy glass of this sweet fruity tea. Strong and sweet, it is the perfect balance of flavors for a thirst-quenching refresher. Just give it a try! Super nourishing and packed with flavor, this roasted potato salad is the perfect summery side dish to you BBQ menu, plus it is incredibly easy to make! 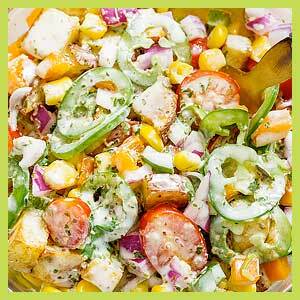 Roasted potatoes are tossed with bell peppers, corn, red onion, grape tomato, and jalapeño. A smooth cilantro dressing adds a refreshing finish. 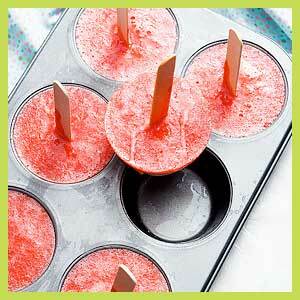 Nothing is cooler and more refreshing than a frozen citrus dessert. The top of this one stands above the rim of the dish with the help of a foil collar, which should be removed once the mixture sets. 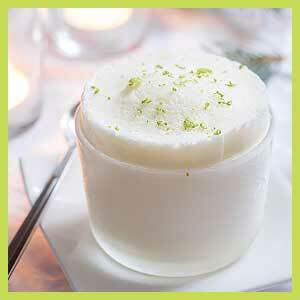 Because you can make them a day ahead, these frozen soufflés are ideal to complement a fuss-free holiday dessert. They are out of this world delicious with their ultra-silky texture and pure lime taste, and no danger of them sinking too fast like baked soufflés! This recipe does require some patience as ice cream making requires some time, however the result is more than worth it. I hope you love this ice cream as much as we did. Tony and I chomped down on it after watching Game of Thrones last night. Just too dang good. These scratch-made, fresh baked brownie bars are 300% better than boxed brownie. Whip up this rich, fudgy chocolate treat in no time for a decadent dessert or snack everyone will go crazy about. 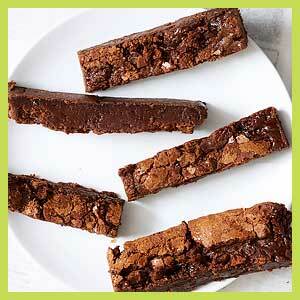 Note: To cut the brownie in nice sleek bars, refrigerate overnight, or one hour minimum. Making popsicles is one of those things that once you do it, you are addicted. It is SO easy and so great because you can add exactly what you want your kids to be eating. A versatile and healthier dessert — These kiwi strawberry fruit popsicles are made of 100% fruit and are completely delicious and refreshing for hot spring and summer days. Plus, they’re easy to make in a regular muffin pan! A whole roasted cauliflower recipe you can make in a blink. 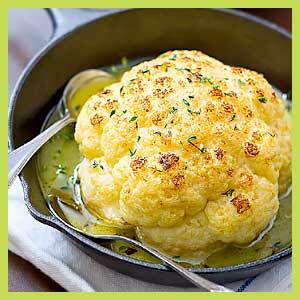 For a lovely light main course, or a gorgeous side, this is your new favorite way to eat cauliflower! Crisp, tender, and SO delicious! Did you know that Strawberries are considered a superfood and are ranked second among the top ten antioxidant containing fruits? They are packed full of vitamin C, potassium, folate, phytonutrients and fiber, which aid in a healthy heart. A light and healthy starter, perfect for a summer cookout. These tomato cups filled with a fragrant strawberry salsa come together in less than 10 minutes and the combination of sweet and tangy flavors is so addictive. 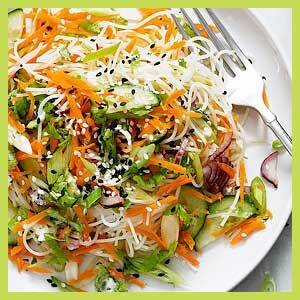 If you’re looking for something fresh and light, try out this avocado noodle salad. You’ll find yourself making it well into the summer and beyond. A light, bright noodle salad packed with protein and vitamins and perfect for spring nights. Crisp carrots, scallion, red onion, cucumber and cilantro are served over a bed of rice noodles tossed with sesame seeds and a drizzle of honey-ginger vinaigrette. 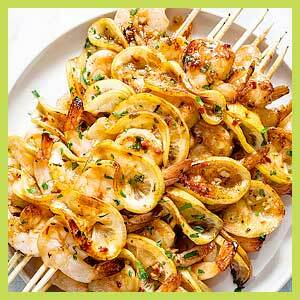 Garlic Honey Lemon Grilled Shrimp is healthy, incredibly flavorful, and quick to make for a warm-weather dinner. 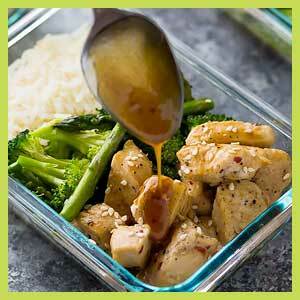 The tangy sweet glaze is prepared with honey, lemon, garlic and ginger with a kick of chili pepper. A perfect crowd-pleaser! Make these Honey Sesame Chicken Lunch Bowls ahead of time and you’ll have FOUR work lunches ready and waiting! These honey sesame chicken lunch bowls are actually just a stir fry, divided into four containers. These honey sesame chicken lunch bowls can be ready in under 30 minutes. 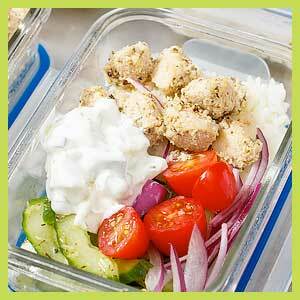 These greek chicken meal prep bowls with greek sauce and cucumber salad make an inexpensive and well-balanced lunch option for the office or on campus. Devoting a bit of extra time on Sunday will make for four effortless eats for the week! 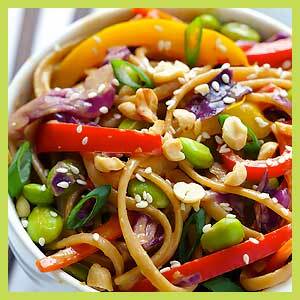 This amazing dish is chocked full of healthy veggies and a tasty homemade peanut sauce. But what’s also notable about this recipe is that it’s made healthier with a brand of whole-wheat pasta that’s actually good. (Yes, you read correctly, I just used whole wheat pasta and good in the same sentence, which is a first for me.) Trust me, you’re gonna love it. Everyone will fall in love with this super easy Fall dessert that tastes just like pumpkin pie.